It is late on Christmas Eve and I am reflecting about the true meaning of Christmas in a world where hope seems to be dying before our eyes. This morning I preached in my Chapel from the Christmas story in the Gospel of St. Luke, the same passage I preached on a week or so ago with the German NATO contingent. The story of the incarnation, of God coming in the weakness of a tiny baby who would grow up and be crucified not far from where he was born is of profound importance for my faith, because it is not a pie in the sky promise of prosperity and power, but God who can be present in midst of the human made hell of war. In such an environment I reflect on men who lived in a human made hell, a hell made by hate filled ideologues who launched the world into its bloodiest war, and I wonder, could it happen again? A decade ago I would have said it never could again happen. In December of 2016 after the election of Donald Trump I began to hedge my bets, but a year later I do believe that it can, and very well may happen again. So in such a world I must try to find hope wherever I can find it, especially as I seen the pattern of a descent into authoritarianism which has been so much a part of 20th Century European history developing in the United States. I worry about that because I can see nothing good coming of it, and notice friends, including Christian clergy openly advocating against the safeguards, the checks and balances put forth in our Constitution and laws to ensure that the President has unchecked power; and that means the power to plunge the nation into war. I think most of my readers know that I am a career military officer and have served in peace and war as a chaplain. That service includes a tour in Iraq, a war, which by almost any standard would have been considered unjust and illegal, yet I served there, and came back a changed man. As such the stories of those who served in war, especially those who serve in hopeless battles, and even in evil causes during Christmas have a special place in my heart. One of those men was a German pastor and medical doctor named Kurt Reuber. As I said, Reuber was a theologian, pastor and medical doctor, likewise he was an accomplished artist and used that medium to convey his own faith, and doubts. 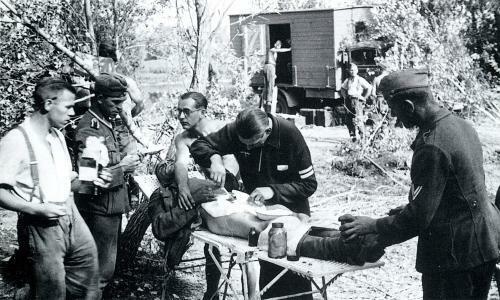 He was a friend of Albert Schweitzer and in 1939 he was conscripted to serve as a physician in the Germany Army. By November 1942 he was a seasoned military physician serving with the 16th Panzer Division, part of the German 6th Army, which had been fighting in the hell of Stalingrad. When his division along with most of 6th Army was surrounded by the Soviets, cut off from most supply and without real hope of relief, he like other physicians continued to serve the soldiers committed to his care. However, unlike most physicians, the care Reuber offered care included spiritual matters, as he sought to help his soldiers deal with the hopelessness of their situation. As Reuber reflected on the desperation of the German soldiers in the Stalingrad pocket. He wrote to his family. On January 9th 1943 with all hope of escape or reinforcement gone Reuber gave the picture to the battalion commander as the officer was too ill to carry on and was one of the last soldiers to be evacuated from the pocket. Reuber’s commander carried the Madonna out of the pocket and returned it delivered it to Reuber’s family, preserving it for all. Reuber was taken prisoner and survived the harrowing winter march to the Yelabuga prison camp. In late 1943 Reuber wrote his Christmas Letter to a German Wife and Mother – Advent 1943. It was a spiritual reflection but also a reflection on the hope for life after the war, when the Nazi regime would be defeated, and Germany given a new birth. Reuber did not live to see that day. 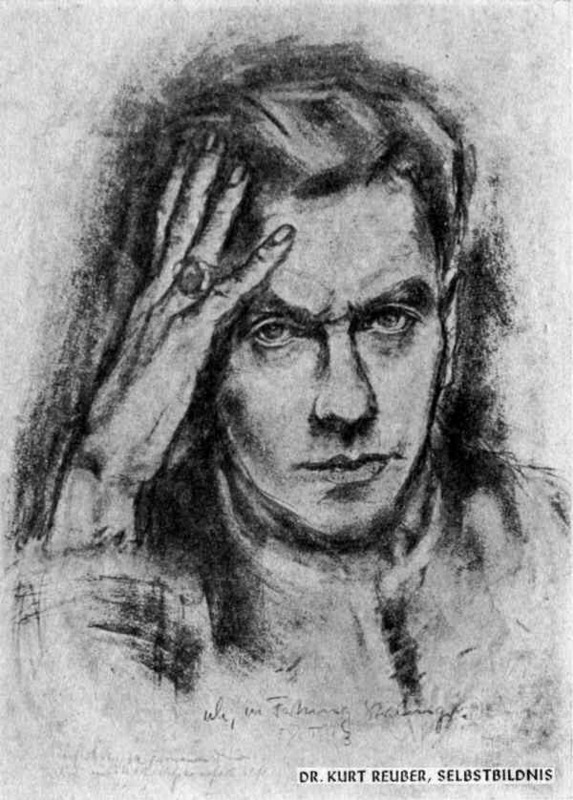 He died of Typhus on January 20th 1944, not long after writing this and just a few weeks after painting another portrait of the Madonna, this one entitled The Prisoner’s Madonna. 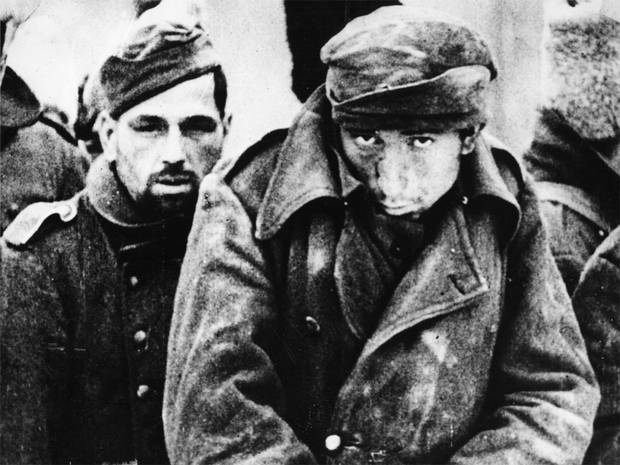 He was not alone, of the approximately 95,000 German POWs taken at Stalingrad only about 6,000 returned home. His paintings survived the war and his family gave The Madonna of Stalingrad to the Kaiser Wilhelm Memorial Church in Berlin after it was restored as a symbol of hope and reconciliation. Copies are also displayed in Coventry Cathedral and the Russian Orthodox Cathedral in Volgograd, the former Stalingrad. 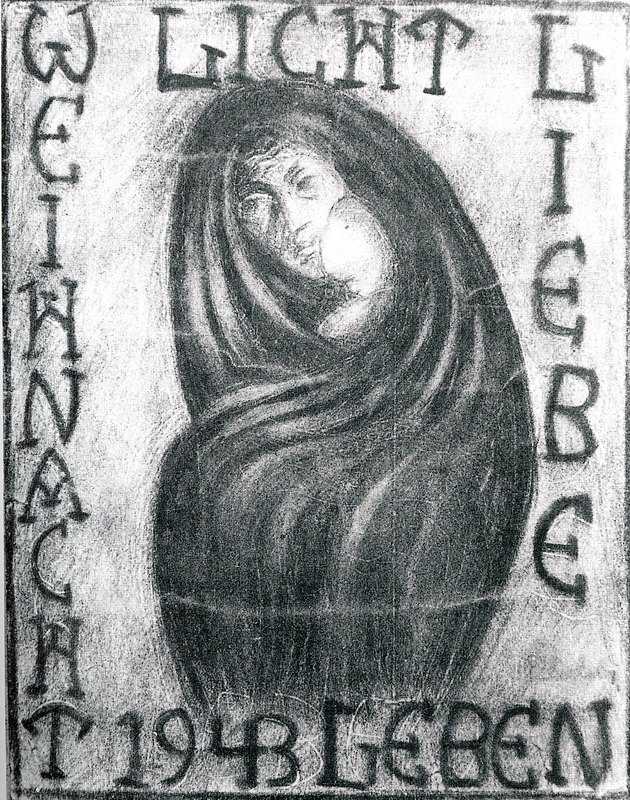 A copy of The Prisoner’s Madonna is now displayed at the Church of the Resurrection in Kassel. I have a print of the Madonna of Stalingrad in my office. It has become one of the most meaningful pictures I have since I returned from Iraq in 2008. To me they are symbols of God’s presence when God seems entirely absent. I praying for an end to war and likewise that the United States will not fall victim to a lawless authoritarian leader who seems intent on stoking the fires of more wars.